Everyone, whether rich or poor, deserves respect. Craving for respect is the natural urge and the eternal quest of mankind. Every individual, however petty his post or position may be, has a dignified existence and human dignity has to be respected and honoured. “I speak to everyone in the same way, whether he is the garbage man or the president of the university”, said Albert Einstein. Courtesy costs nothing but pays much. In my college days at Patna, I used to have tea in a thatched tea stall. An old man served tea. Students generally addressed him disrespectfully. I called him ‘Baba’. He always offered me special tea without any extra charge. Even if he was busy with other customers, he used to hint me with his hand to wait. It was nothing but my courtesy which pleased him and I got special treatment from him. After a long time, when I was well settled in life, I once again visited his shop during my stay at Patna. He, at once, recognized me and greeted with the same hospitality. I was ready to give five hundred rupees for a cup of tea but he said, “No, my son, it is from my side.” My single word of respect won his heart for ever. Such is the magical power of politeness. If you are well-behaved with the waiter in a hotel, he will serve food more joyfully. Your politeness to a rickshaw puller can make his burden bearable and pleasurable. 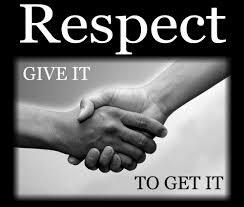 Give respect if you want respect. Respect cannot be forced or snatched. It has to be earned with good behaviour. Hazrat Ali beautifully says, “I respect elders because they have prayed more and I respect youngers because they have sinned less.” If the world follows his wise advice, all distinctions of the rich and the poor, the high and the low will diminish. All will be the children of God and all will be equal. This will pave the way for a truly egalitarian society.